3D Printlife is committed to reducing the environmental impact of 3D Printing, from our groundbreaking Enviro ABS, to our eco-Friendly spooling and partnerships with non-profits. 3D Printlife filaments are made in the USA with the highest quality materials to the strictest standards available at our medical grade extrusion facility. 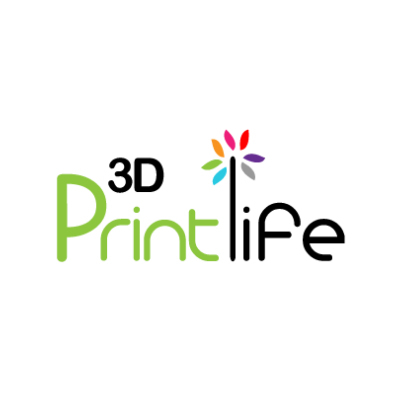 3D Printlife offers high quality 3D printers, print materials and design templates for the home, the office or for school. We develop a variety of design template collections that get you up and printing quickly. Enviro is a premium Acrylonitrile Butadiene Styrene (ABS) filament that offers superior strength, heat resistance and dimensional accuracy, with the added benefit of being environmentally friendly, including the spool itself. The filament spool is made of heavy, biodegradable 100% recycled cardboard and bound together with a recyclable tin cap. Unlike every other ABS on the market, 3D Printlife's Enviro ABS has been specially formulated to be consumed by bacteria once it enters a landfill to energy facility or a commercial compost. In addition a portion of the proceeds from every spool of Enviro is donated to environmental charity plant a tree. One spool equals one tree, rejuvenating forests in key locations throughout the United States. PLAyPHAb is a 100% biodegradable PLA/PHA blend that produces a glossy finish on your 3D printed products. Comparable to ABS in terms of its pliability, ductile strength dimensional accuracy, PLAyPHAb has a higher UV and impact resistance than PLA, as well as increased flexibility and excellent layer adhesion. PLAyPHAb is less stringy than PLA during print-head travel, and removing support structures is almost trivial and can easily be removed by hand. PLAyPHAb's added pliability makes it much easier to post process and it is even possible to drill holes in certain parts, which is a tremendous upgrade as drilling through PLA tends to cause parts to crack.